Search Results for "web camera"
Charming Pregnant Girl Holding Tablet and Talking on Skype Through Gadget Web Camera, Standing in Park Outdoors on Background of Trees in Daytime. Pleasant call center worker, answering to questions. 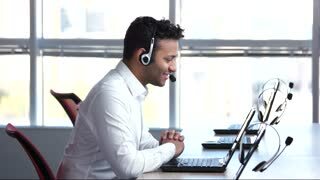 Man is saying goodbye on web camera, online converstation. Spider Rack Focus. a spider fixes his web then moves to the center of the web. camera racks focus. Businessteam. 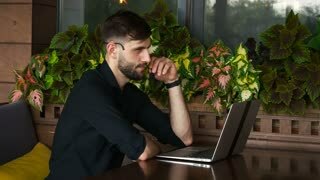 Businessman listening to manager in a video conference and talks about project implementation showing notepad to a laptop front web camera. Telecommuting business concept.